We are a research institute of The University of Queensland, one of the world’s leading research providers in tropical and sub-tropical agriculture and food production. We work across crops, horticulture, animals, and nutrition and food sciences, and are supported by industry and the Queensland Government. 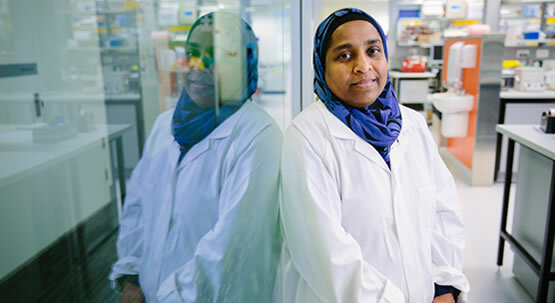 QAAFI is comprised of four inter-related research centres, with a focus on the challenges facing tropical and sub-tropical food and agribusiness sectors in the tropical and subtropical systems. Our vision is sustainable agriculture and food achieved through science and innovation. Our mission is to significantly improve the competitiveness and sustainability of tropical and sub-tropical agriculture and food sectors through high-impact science. Our vision is sustainable agriculture and food achieved through science and innovation. We aim to be a world leading research institute in plant science, animal science, and nutrition and food sciences, delivering outcomes in discovery, learning, and engagement.